Blak Labs does jury duty, the Grand Prix edition. Today is “Brexit” voting day in the UK. 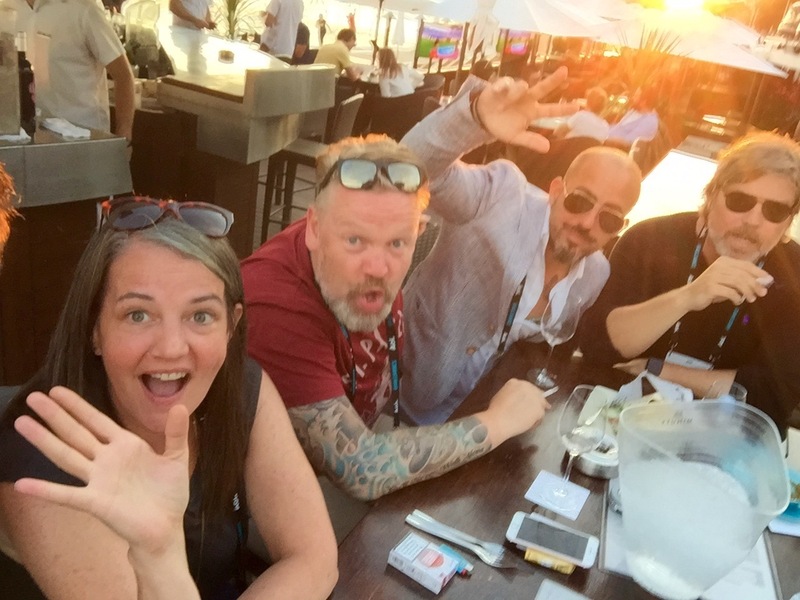 And after a week of jury deliberation, discussion and impassioned defences, we have just witnessed the effect our votes had on the winners of the 2016 Cannes Cyber Lions awards show. Before we get to the winners, let me take you back over the last couple days of being in the room. Blak Labs Singapore in the company of inspirational Jury members during a break in our final Lions deliberations. L-R: Blak Labs Singapore, Ignacio from Google Argentina, Ravi from Whyness India, Fred from Mirum NYC, Chloe from RGA NYC, Bob from Host Sydney, Kris from Happiness Belgium. Chloe gives some last minute advice before we head back in. We can award three Grand Prix. But will we? Of those that made it through, you have already achieved something truly significant. Your work beat some world class crud. Our final list of golds looks like this. Not nearly enough from Asia. The game-changing Gold winners. I wish I’d done any one of them. 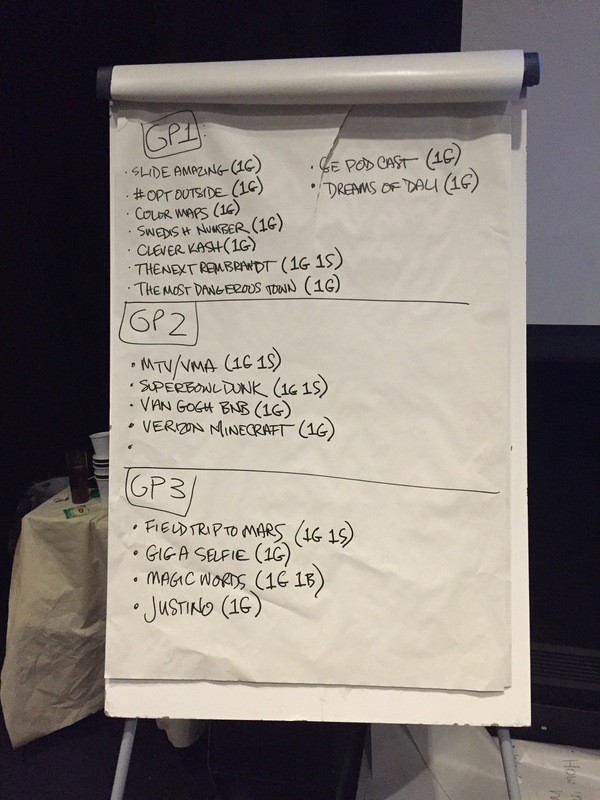 And after one round of voting for the Grand Prix, we have eliminated all but two pieces of VR. We pause and take a moment to discuss what that outcome would say about the category and our industry, not to mention our collective reputations. We vote again on just keeping these two exceptional pieces as golds. It is just too early for VR to lead the way. The craft has a long way to go. The experience needs to be more inclusive. After the struggle, and the respectful discussion on our choices, we review, debate and vote on our final Grand Prix contenders. When we’re done, there is a huge cheer and lots of hugging followed by champagne to celebrate. Cheers to an inspirational jury. Amazing people. New friends. We realize what we have just achieved. And in record time apparently. So we head out to celebrate. L-r: Megan from New York, Dirk from Germany, Ignacio from Argentina, Bjorn from Sweden. A few hours later, we all attend the press conference for the announcement of the 2016 Cyber Lions and the Innovation Lions. At the Press conference. Smile…you’re on Chloe’s camera. Chloe kicks off the press briefing with an update of the key trends. With the new filters that the jury has defined over the past week, we think that the biggest ideas deliver on several levels. Final category defining filter notes. They are seamless in how they travel between the cyber or digital world and the real world, i.e., no clunky tech getting in the way of the storytelling. They’re beautifully crafted and above all, the thinking and approach deliver magic in how they touch people’s lives and move us towards ideas, brands and causes. We decided to award gold to ideas that are game changers. To achieve a Grand Prix the thinking has to be iconic, enduring, universally appealing and live seamlessly in whichever part of our connected world you experience it in. The two Grands Prix are quite ‘amaaaaazzzzing’ as Ignacio, everyone’s favourite Argentine from Google, occasionally says. One of them showcases how tech and AI has helped create a new Rembrandt centuries after his death. It’s brave and beautifully crafted. The team behind Justino. They arrived earlier in the afternoon. So it could only be gold. Little did they know that we gave them the Grand Prix. Lovely bunch. And that’s the lovely Teresa from Shackleton in Madrid in the middle foreground. This is where ‘Cyber’ has its true strengths. As a means to connect and unite people behind a single possibility over a variety of digital and ‘real world’ channels. Which of course is the point. The category has evolved so much that the best work is alive wherever you experience it. We hope you’re happy with our votes. It was exhausting, exciting and eventually extremely rewarding. Thank you to my wonderful fellow jurors, thank you creativity and thank you Cannes Lions and Mediacorp. And congrats to Team Singapore for winning the Young Cyber Lions! Author cb1ndustriPosted on June 24, 2016 December 15, 2016 Categories Agency PR, APAC, Awards, Blak Labs, Brand Communications & Advertising, content marketing, Creative Care, discovery, experiments, Singapore, social experiments, Social Media, Talent, TechnologyLeave a comment on Blak Labs does jury duty, the Grand Prix edition. 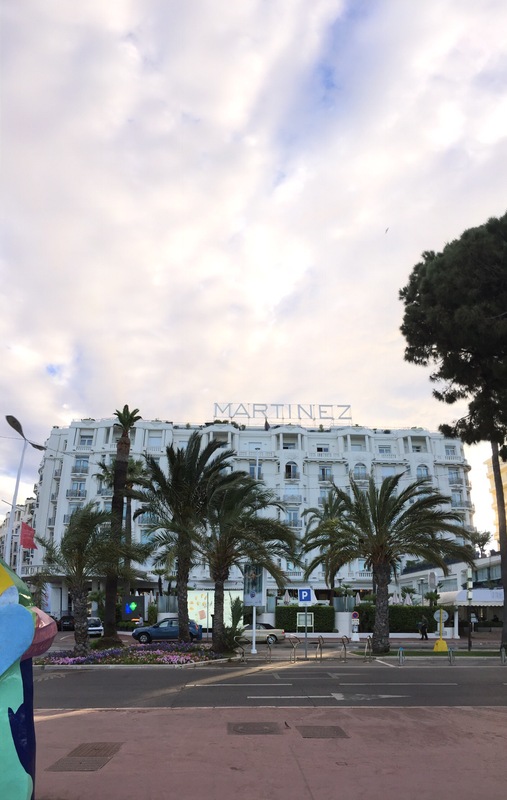 Well hello Cannes. What a pleasure to be here. It’s my first time – so a quick thanks to MediaCorp for putting me forward to judge the CyberLions. And thanks to the organisers for the lovely welcome kit. 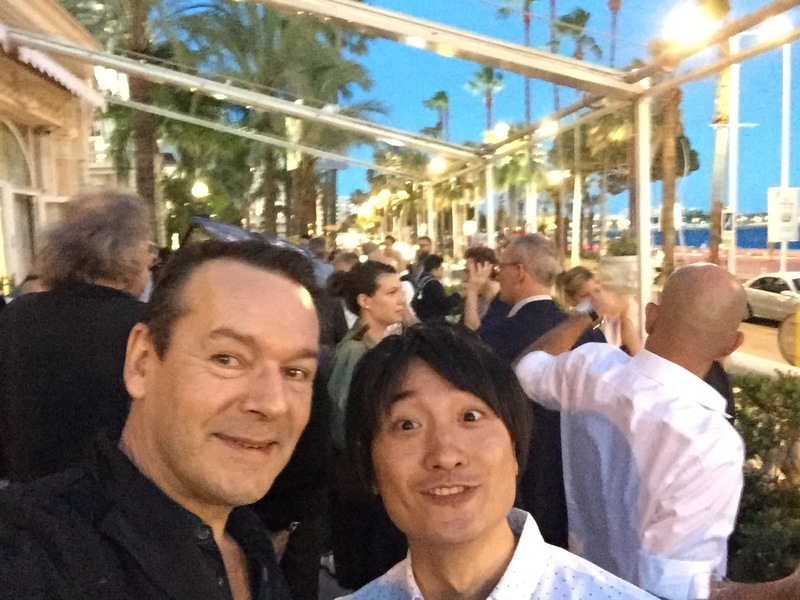 The welcome drinks were welcome too as I caught up with my fellow juror from Spikes, Kazu from Japan. The preliminary judging has reduced our task…slightly. So far we have collectively viewed over 2800 pieces of work. Individually we have gone through more than 500 entries online during the prelim round a few weeks ago. We’re still in our judging groups, which means no one has seen everything yet. In the jury room, the shortlisting takes place in silence, which is occasionally broken by snorts, giggles, guffaws and sighs. We view the work on desktop workstations with earphones listening intently to the carefully crafted case studies…which by now are all beginning to blur into one. It’s a bit like being in a call centre. Except we’re not solving customers problems…There’s absolutely no chance of help if your idea is woolly, your case study not sharp enough, your objective irrelevant, your results less than convincing. At the breaks and meals, there’s a fair bit of discussion about what exactly we have just seen. Is it a data idea? Who makes microsites any more? Why? Where are the Asian entries? Each day, Chloe our president and previous winner, captures a new set of filters which we will use to define this year’s CyberLions. Every now and then jurors get the chance to check out new tech. One bunch went to try the VR experience from the movie the Martian. I got to have a virtual knock up with Marina Sharapova. We’ve had a couple of lovely dinners. At the first, the waiter was superb. His description of veal as baby lamb had everyone stumped. He could be the French equivalent of Borat. That’s it for the time being. Tomorrow we do a final cull of the shortlist, before we get down to the real business of awarding the Lions. Quick shout out to my long-suffering wife and partners for looking after things back in Singapore @blaklabs while I do this. Love you all! Another historic campaign from Blak Labs? It gives me great pleasure to share Blak Labs’ most recent campaign for “Treasures of the World from the British Museum”. It’s the latest blockbuster exhibition at the National Museum of Singapore and if you’re in the city and you have some time, you really should go and see it. A knight at the museum. One of the Lewis Chessmen from the British Museum’s Treasures of the World exhibit. It’s only taken a couple of million years to pull together. With an extensive collection of over 200 stunning artifacts from around the world, we thought we’d have some fun with it. Thankfully, our client at the National Museum prides itself on keeping history relevant. They like to present things in a way that connects with audiences today. Judging by the fact that the show has been extended by a couple of months, it’s good to see that the content is clearly connecting. The campaign runs across key outdoor sites in town, together with strategic social media initiatives. Blak Labs won the project via government tender last year. 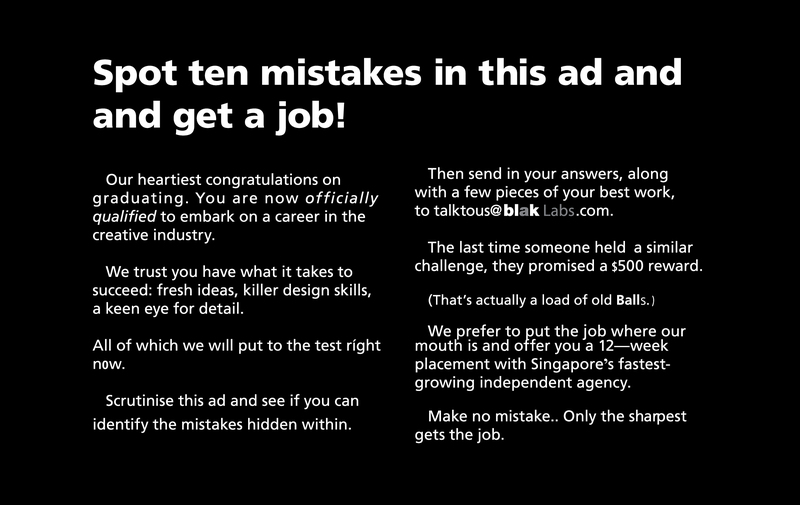 So is the ancient art of copywriting alive and well at Blak Labs? We like to think so. Because it sure as hell isn’t in our blog posts! If you’d like to see other executions in the campaign, leave us a comment below. Hey, leave us a comment even if you don’t! Always happy to get a response. Thanks for reading. 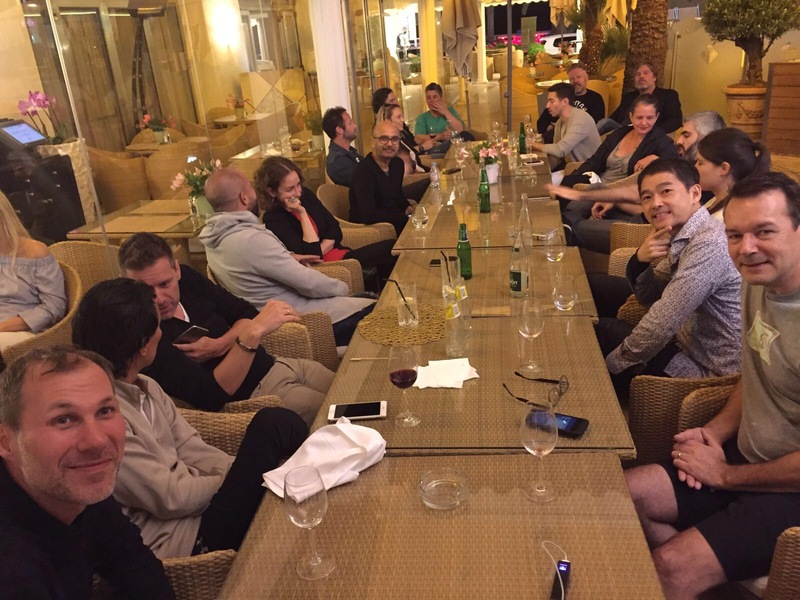 Author cb1ndustriPosted on April 29, 2016 Categories Agency PR, Blak Labs, content marketing, Creative Care, experiments, learning, Singapore, social experiments, Social MediaTags Communications, new business, singapore, social advertisingLeave a comment on Another historic campaign from Blak Labs? Our latest experiment is building a business in a new market. 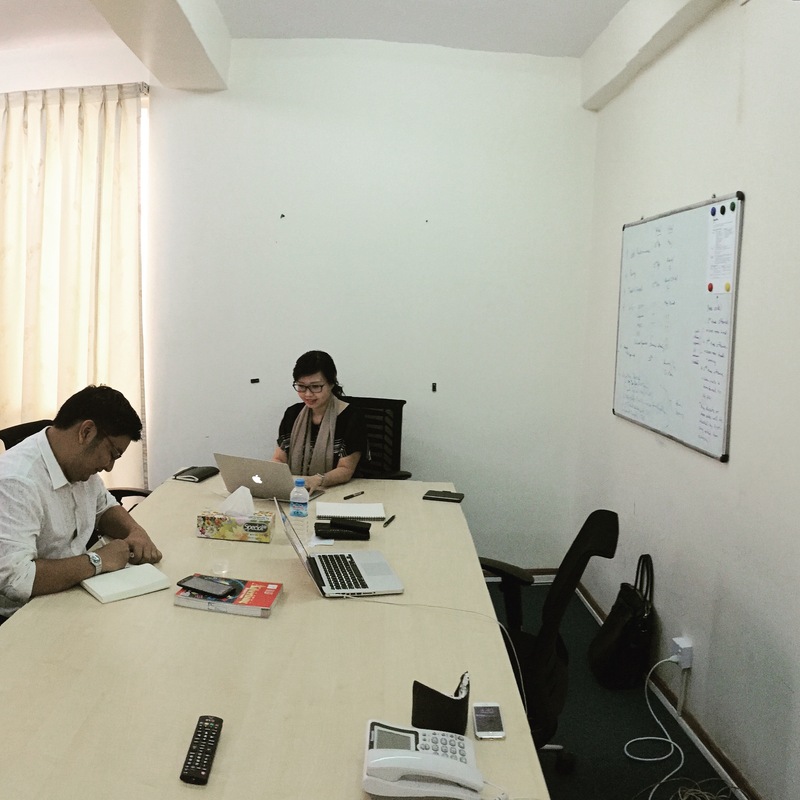 And here’s our new office at Hotel Yangon, complete with wifi, table, chairs and our team. Our first work is now in the market and making the competition nervous – our clients’ competition, that is. And cc us all. Thanks! Early days but exciting times. Watch this space…! I get a ton of emails every day, most which I just delete after a cursory glance. But newsletters from the chaps at Bluewire Media always get read. The reason? I often learn something new. Plus they believe in the power of sharing and the “thank you economy”. They freely share their own social media planning tools and templates, which I find useful and they also do a bunch of podcasts, webinars and monthly giveaways. Which are also filled with good usable stuff. My advice? Check them out! Yesterday Bluewire Media turned 10. So congrats to Adam (@Franklin_Adam) and Toby (@Toby_Jenkins) on achieving that milestone, from an independent agency owner here in Singapore! Your reach extends way beyond the shores of Oz, and your monthly competition does too! Which is why I’d like to say thanks to Adam and Toby for letting me win their December competition. The prize? Their top 25 marketing books, including their own publication. I’ve no idea how much this competition set them back in terms of book purchases etc. But I do know that Adam and Toby have created something of real value with Bluewire News. If you’re interested to learn from a couple of chaps who’ve done it for themselves, then you can sign up for the newsletter here. I hope you enjoy their content as much as I do. And here’s a couple of little flipagram thingies I made over lunch using nothing but an iPhone, a pair of scissors and some sticky back plastic. Here’s to learning more and being open to trying new experiments in 2015 at Blak Labs. Thanks again guys.